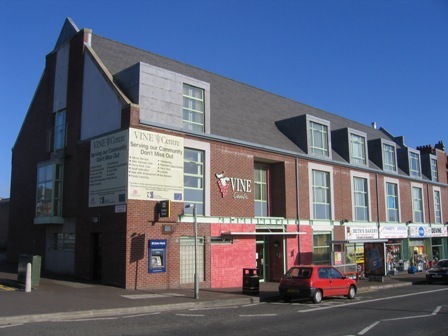 The Vine Centre has been providing advice in the Crumlin Road area for 38 years. We can provide free, confidential advice in many areas. Our Afterschools Play Club aims to provide a wide range of activities for children aged 4-11. At an affordable price you can arrange for your child to be picked up from school and to be looked after until 6.00 pm. The Bulrush Day Nursery is the main social eceonomy project of the Vine Centre. It has been open since November 2004 providing easily accessible and affordable childcare for local people and a safe, stimulating environment for the children in our care. The Vine Centre is committed to ensuring that local people of all ages have access to learning opportunities. This is whether people want to improve their skills or qualifications to get a job, help their children with their homeworks, or simply keep their minds active in retirement. Our Senior Citizens Lunch Club runs every Thursday from 1:00pm - 3:00pm. It is open to anyone to anyone living in the area who wants to get out of the house and spend an enjoyable time in the company of others for a couple of hours each week. The Pastoral support at the Vine Centre is a non-judgmental service of: befriending, listening, encouraging and support to promote individual wellbeing. At times in our lives we find ourselves in situations where we would need someone perhaps other than a family member or a firend that we can turn to. Someone to be there in times of loneliness, someone to listen, someone to encourage us through difficulties, and someone to guide in the right direction to get advice or professional help. The Vine Centre continues to provide opportunities for people who wish to give of their time, experience and enthusiasm for the benefit of others.